Gov. 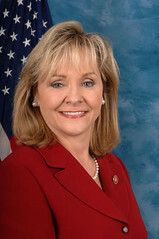 Mary Fallin’s attempt to make a group of impoverished refugee children fodder for her reelection will surely test the limits of the Oklahoma electorate’s cravenness and ignorance. Fallin has been greeted with bad news recently when it comes to her reelection bid. First, SoonerPoll found that her approval rating has plummeted by approximately 20 points over the last year. Second, a Rasmussen poll shows she and Democratic gubernatorial candidate Joe Dorman are locked in a tight election with Fallin leading Dorman by a slim 45 percent to 40 percent edge. Until now, political pundits have considered Fallin, a state Republican who has never lost an election, virtually invincible in her reelection bid. Fallin’s response to this bad news has appeared to be to distance herself from the draconian, high-stakes testing policies of outgoing and controversial state schools Superintendent Janet Barresi and to arouse conservative anger over the housing of some 1,100 Central American children at Fort Sill near Lawton. The children are part of an exodus of younger people trying to escape the violence of their countries, which include Honduras and Nicaragua. The Fallin campaign has actually launched a petition drive to close the Oklahoma facility housing the children. The petition language appeal is couched in typical flaming rhetoric, such as “illegal alien minors,” and it, of course, blames President Barack Obama for the situation when, if fact, a policy initiated by former President George Bush has exasperated the problem of deporting the children. This is also a political refugee issue, not an immigration issue, created by years of immoral Central American policy based on U.S. pseudo-colonization interests. Both Republicans and Democrats have shaped this policy, which is based on exploitation and greed. So, in effect, Fallin is asking her supporters and potential supports to do two things: (1) Condemn a group of children who are merely trying to escape certain death, and (2) completely ignore the actual bipartisan facts of why the children are here and why they can’t just be immediately deported back to their countries. Fallin is appealing to cravenness of Oklahomans to simply not care about the welfare of children in general and the ignorance of people to just randomly condemn Obama for what can be construed as much as a Republican problem as it is a Democratic problem. Will it work? These Republican “group hate” appeals have certainly worked here in the past when it has come to immigration issues. The state’s cheerleaders like to make a big deal out of how nice everyone is here, but the reality is the state is filled with people who are terribly prejudiced and have mistrust of “the other,” which, in this case, is a group of poor children with brown skin. Still, surely a majority of the state has grown past these racist ideas, especially in the last ten years or so. One wants to think this, of course, but racism is not quantifiable here. Fallin’s campaign tact, as racist as it can publicly get, is probably as good as any indicator where the state currently stands when it comes to tolerance. If she starts to move up in the polls, look for more group hate appeals. It’s clear, given this recent political move over the young refugees, Fallin plans to make her campaign as little about state issues as possible.